Meet Walnut! He is a Orange/Brown Brindle, 1-year-old, 30-pound, Boxer mix. Affectionately called ‘Wally’ this bundle of cuteness will steal your heart! Shelter volunteer’s say, “Just look at that face.” Wally has lived successfully with children and other dogs and enjoys playing, walks, and fetch. He is a playful fella, and total cuddle bug! If you have a fenced yard and are looking for a sweet companion to make you smile, then Wally may be your next best friend! 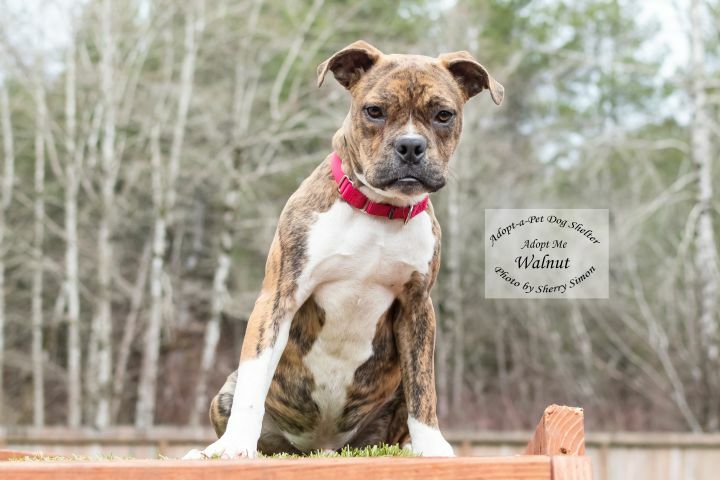 If you have further questions or would like to schedule an appointment to meet Walnut in person, please contact the adoption team at Shelton Adopt-a-Pet. Emails are the preferred method of communication.